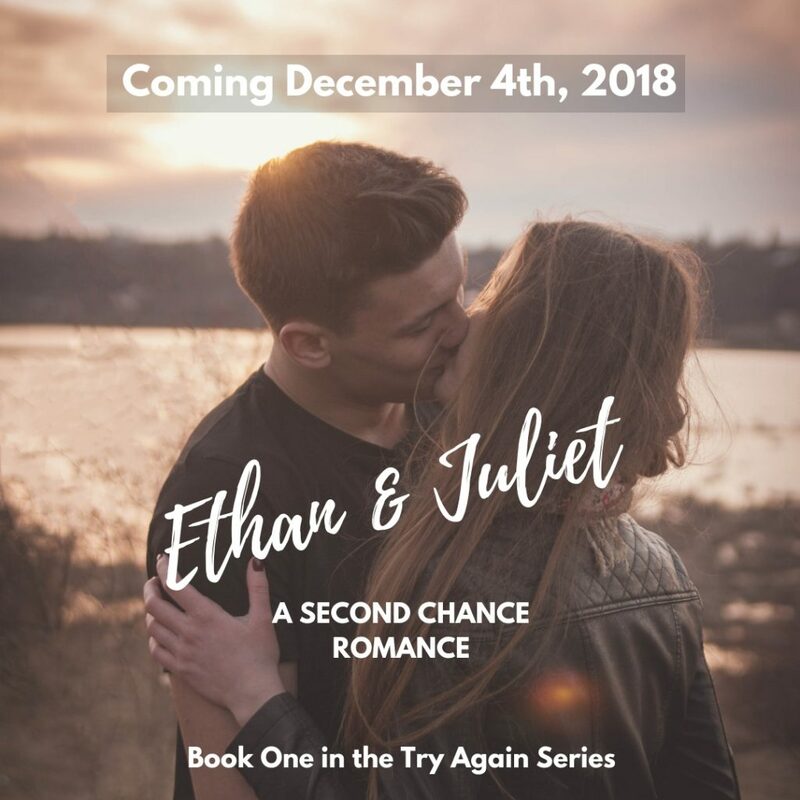 Ethan & Juliet is Coming! Sometimes I get so busy writing I forget I have a blog. The past couple of months that has so been the case. I spent July finishing the first draft of my fourth novel, The Van Birch Incident. Then I spent August revising Ethan & Juliet and beta reading. September passed in a blur of revising my third novel, Sparkle & Shine, and here we are back in October putting the final touches on Ethan & Juliet before it goes to print because that’s right, Ethan & Juliet is coming out on December 4th, 2018! I am so excited to bring you my second book. I started work on this story in 2016 just before Rufus was born, and it took me a year to complete a full first draft. Each time I write a book it comes together a little easier than it did the first time. Don’t get me wrong, the struggle of pulling words out of my brain still leaves me bloody and raw, but I’m getting more efficient at it. I’ve settled into a good routine where I rotate projects by month. That gives my head a good amount of time to recover and come back to each project fresh. I’m already working on my 2019 writing schedule, which kind of blows my mind, because I’ve never been the kind of person who plans ahead. But! I have two more books that go along with The Van Birch Incident to write, plus a languishing haunted house story that I’d love to get back to. So that’s three books to write from scratch next year, plus all the revising and publishing and promoting. It sounds exhausting already, but so worth it. Anyway, you didn’t come here today to hear about my publishing schedule (maybe some other time, right?) You came to find out about Ethan & Juliet. For the first updates, make sure you’re signed up for my newsletter (you’ll also get a free copy of When Abe Met Lane) and follow me on Instagram.